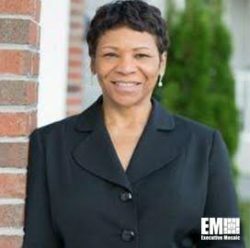 Home Executive Spotlight Executive Spotlight: Interview with Karen Shields, VP of Health Markets for Serco Inc.
Executive Spotlight: Interview with Karen Shields, VP of Health Markets for Serco Inc.
EM: Could you tell our readers what Serco does, or will be doing in the Health sector? Karen Shields: Our focus in the Health sector will be very much focused on supporting those in need of services and ensuring program integrity in that delivery area. We want to specialize in enrollment and verification of/for consumers and providers of health services into programs offered by states and the Department of Health and Human Services. Our expertise lies in the ability to ensure a high degree of program integrity and verification while ensuring a high-quality consumer or provider experience. Since 2013, Serco has supported the Centers for Medicare/Medicaid Services (CMS) in delivering eligibility and verification services for the healthcare exchanges. Utilizing our knowledge of the program, Serco is looking to expand this portfolio as states look to design solutions for their health markets. Can you talk about how your background and experiences prepared you to move from the Federal Government to the corporate world. Shields: During my eight years at Lockheed Martin, I was a provider of services to CMS, and then I spent the next eight years of my career in the Federal Government as a purchaser of similar services. When I joined Serco, I found an immediate connection in the public service ethos that I have been living by the last 16 years of my careers. I am passionate about the exceptional services we provide, and have a high level respect for delivering the best services possible for tax payer dollars. From your broad background, what leadership techniques have you picked up and still carry with you today? Shields: If I had to narrow it down, I believe the best way to deliver high quality service is to hire exceptional leaders who are mission-focused and personally engaged; and not only do they need to be a leader, but they need to be listeners! As leaders, we must understand the challenges facing our customer or the citizens we are supporting, and even after we start delivering a service, we must continue to listen. We must have a complete understanding of what is working and what needs additional attention. During your time working in the Federal government, how have you seen it evolve and what ways do you think it could become better? Shields: I believe we have seen the Federal Government start to spend more time listening to the people they serve, and because of that attention, they are better prepared to deliver solutions that meet the needs of the American people. Because of the sheer size of our government, a challenge they will continue to face is how quickly they can pivot and respond to the changes in needs of the citizens they serve. That is where a committed Company like Serco, can step in and help. We must be agile, attentive, and committed to quality at every level of the company, in order to continue to assist our Government in delivering a consistently high quality of service to the American people. You have been at Serco for a month now, where do you want to take the Company in the Health sector? Shields: From my perspective, Serco is in a unique position to grow its work in the Health sector in two key areas. First, we are looking to provide services across all of HHS, with our key differentiator being our experience providing American citizens with best-in-class, high-touch engagements in the areas of enrollment and verification. That competency translates into a lot of very necessary spaces where HHS offers citizen services. Second, we want to expand our technical ability to provide a shared suite of services for eligibility and verification in the Medicare/Medicaid space. States are at a unique and important turning point in health reform and we want to be able to help them design new solutions that serve their citizens in ways that best suit their needs. Tags: CMSdepartment of health and human servicesExecutive SpotlightHealth MarketKaren ShieldsSerco Inc.